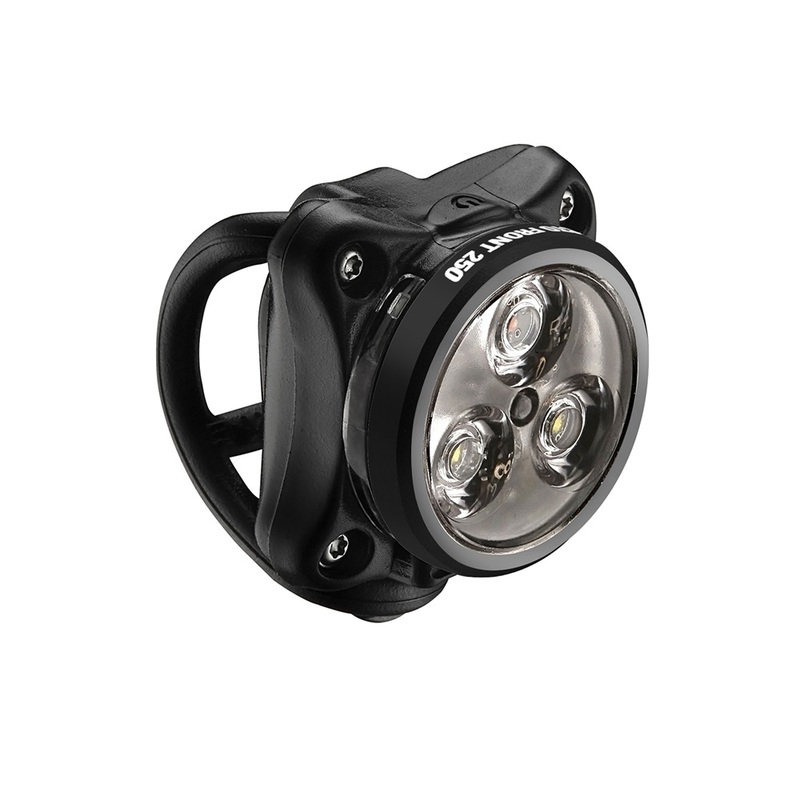 The Lezyne Zecto Drive 250 front bike light is a low profile, high visibility light with 3 ultra-bright LEDs that provide Up to 250 lumens and seven output options. It’s lightweight and durable with a composite matrix body with machined aluminum faceplate and includes an ‘Intelligent Power Indicator’ that displays battery life and provides side visibility. With a convenient Micro-USB rechargeable design and a versatile 2-in-1 Clip-On System which straps to bars or clips to loops the Zecto Drive 250 includes a super high-visibility ‘daytime flash’ mode which we recommend you use for added visual impact when riding in daylight hours. For a cost effective light, it delivers EXACTLY what it promises. Daytime conspicuity, night-time visibility and light duty headlight on dark stretches of tarmac. It all comes from within a rather attractive package with a simple attachment. The colored indicators are handy for identifying mode and give a "visual gauge" to indicate charge level. I am quite pleased with this purchase. As bonus, international shipping was on-time and as promised.